A market is a process of price discovery. You want to know the most buyers will pay. Buyers want to know the least that will persuade farmers to put adequate supplies on the market. In any market, including our grain markets, those with the most information will do better, over time. Maybe the lucky will hit it right now and then and have something to boast about. But those who methodically accumulate information will always tend to do better, as they deserve. If I offered you an opportunity to drive 50 miles once a week to buy coffee and listen to two experts with different sources of true information about the market, you would be wise to take me up on this offer. It would cost you 100 miles of driving expenses [maybe $40], plus a buck for the coffee, and three hours of your time, which is an important expense. But it could pay off. I have a much better offer: • same two experts, with different sources of information about grain and oilseed markets • weekly updates • and the cost is only $6 a week, plus less of your time -- maybe half an hour per week and you don’t have to interrupt combining. Big saving. Same value. [Oh yes, your coffee at home costs maybe only 25 cents a cup.] The two experts are Jerry Klassen, a veteran of the Canadian grain trade and an independent futures trader, and John Duvenaud with a first-rate handle on the pulse and special crops markets. My offer is for the market newsletter Wild Oats. How good is the information? Examine a past issue ot request a free copy of the latest issue to see for yourself. Wild Oats is organized so you can find what you need fast, and understand what you’re getting. 1. The front page gives you the biggest news items, in brief. Short articles. The headlines tell you which ones concern crops you grow. 2. The next page starts with Jerry Klassen’s latest and best markets analysis. Mr. Klassen goes out on a limb and advises selling or holding each crop, and makes sure you understand why his advice is that way. Also on page 2 is John Duvenaud’s analysis. Likewise, he doesn’t just give you a lot of words about trends, but sticks his neck out with specific advice. 3. On page 3, the futures and options you need to make your own decisions. We don’t assume, by the way, that all our readers use futures, and we make sure our advice can be used without them. At the bottom of the page, a chart shows Wild Oats cumulative selling recommendations to date. In past years, farmers who have moved on Wild Oats calls have done a lot better on average than farmers who operate without good information. 4. On the final page of each regular issue are the latest farmgate buying prices for grains, oilseeds and special crops. Prices vary across the Prairies, so we compile separate Alberta, Saskatchewan and Manitoba reports. Page 4 also gives you a few comments picked up from traders on the Winnipeg Grain Exchange. It’s all valuable information. You might get it yourself by spending enough time on the internet. It’s easier and less expensive to get it with a subscription to Wild Oats. Internet Mail Fax Satellite How do you want to receive Wild Oats? All subscriptions are $295 a year. Delivery method is your choice. Here are the options: Most subscribers access Wild Oats on the Internet via Canadagrain.com. You can read the letter five minutes after the editor signs off. You get all the regular and supplemental issues. Mail delivery has 40 issues per year, mailed first class in a business envelope. Fax subscriptions arrive about suppertime on Tuesdays. Wild Oats publishes a one-page fax supplement on the weeks we don’t publish a regular issue. Satellite subscriptions are available via DTN. Most grain, oilseed and special crop market moves are slow and gradual, reflecting crop development and the pace of usage. It's true that markets sometimes make big, sudden moves, but usually these happen so fast that even floor traders on the exchanges can’t profit. Too much information can be confusing. Daily price moves are often just noise in the market. Wild Oats is timed to keep you up to date on the big picture, without flooding you with details. Wild Oats recommends sales through the crop year of the various crops we grow on the prairies - canola, lentils, peas, mustard, canary, flax, wheat, durum, barley, oats and soybeans. We don’t try to cover each crop every week. Rather, we do in-depth studies of the markets for various crops methodically. If we don’t cover the crop you’re marketing in the current issue, back issues are available on the Canadagrain.com website for review at your convenience. Edible beans, chickpeas and sunflowers are included in our coverage although these don’t lend themselves to the market timing of our main crops. We time sales for when markets rally and avoid them on dips. Regardless, we recognize that part of the business of farming is converting your crops into cash and that you can't hold forever, even if prices are poor. We generally start sales when the crop starts to come off. We sell aggressively when prices are good, or when the fundamental outlook is bleak. We hold sales back when prices are poor, or when fundamentals suggest higher prices down the road. Traditionally Wild Oats didn't make many sales before the crop was in the bin. We recognize, however, that forward selling can be appropriate and, in some cases, a prerequisite for getting into the delivery queue, certainly for off-combine delivery. Forward selling has become another standard marketing tool. In every case Wild Oats finishes crop sales within the crop year. That single strategy has made a lot of money for subscribers over the years. Already you probably have pretty good programs to keep your expenses under control. You likely know how to push yields and produce quality. The better you are at farming, the more you need to be an informed marketer. If you have only a few thousand bushels to sell, I can see that you wouldn’t want to spend even ten minutes a week adding to your information about what the markets are doing. But as soon as your production mounts to a substantial figure, the payoff from even a small improvement in your marketing can be major. Serious money. With Wild Oats you’ll watch for signals to shift acres, or speed up or slow down sales. You can never tell when selling opportunities will arise. It may be in the middle of a period that’s been dull. If you know about it, sometimes you can move a lot of crop at a good price. When you decide to make a sale, you’ll have the numbers you need to start dealing. Never let buyers know more than you do. You can keep informed with Wild Oats for just $6 and 10 minutes a week. Winning at the markets is a cumulative process. Every win builds your financial strength. Better yet, you carry that win into your next marketing decision. 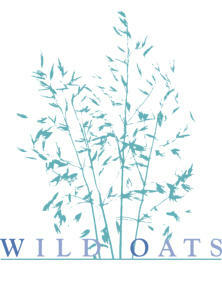 Subscribe to Wild Oats. Read Wild Oats even if you have another information service, and it’s good. You can’t have too many viewpoints on the markets. It’s easy. Just complete and submit the subscription order form or phone us at 1-800-567-5671 or 1- 204-942-1459. Choose how you’ll take it. We'll start your subscription the day we hear from you. It's worth your while to move fast. The markets often do, and with little warning.